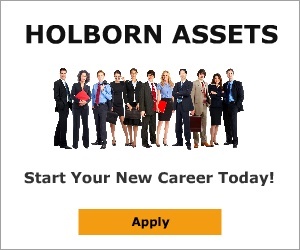 Holborn Assets Lost Me 52000 GBP in 24 months. Nov 10, 2015 Our main focus is delivering the very best service to our clients. If for any reason you cannot get hold of your adviser, please contact our customer service department (contact details on our website). Mr Alwyn Owens an "advisor" from Holborn Assets lost me 52000 GBP. He advised I transfer my UK pension through Brooklands UK and he invested it in a hedge fund. I've lost it all in less than two years. Holborn Assets couldn't care less and if the only good to come of this is that you steer clear of these bunch of weasels then take the heads up. Not only was the advice I was given by Mr Owens disastrous but his complete lack of management of the situation in neglecting to try and mitigate my loss is the second reason I would not recommend anyone have anything to do with Holborn Assets. The commissions charged and surrender penalties I would incur by surrendering the policy now would wipe out every penny of my hard earned pension. I am reporting this case in the UK and Dubai to the regulatory authorities. Review #485811 is a subjective opinion of airbusman2002.